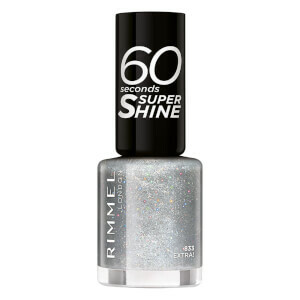 Show your sparkle this festive season with Rimmel 60 Seconds Glitter Nail Polish in Fab. 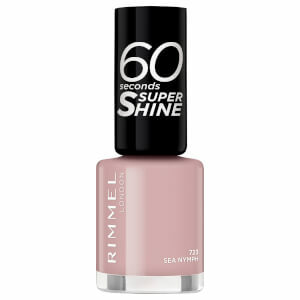 The pearlescent pink nail varnish is infused with light-reflecting particles that shimmer as you move, while the signature 60 Seconds formula dries super-quickly and resists chipping and flaking for up to 10 days. The wide brush delivers full and even coverage for easy application, leaving you with a professional-look, party-ready manicure. Apply to nails with a downward stroke. For a more intensely coloured finish, add an extra coat. This is my favourite nail polish ever, I am on my 4th bottle! The colour is just so nice!